Rick L. Johnson, Attorney - Martin|Hild, P.A. 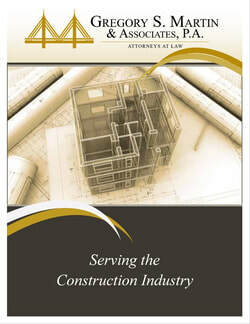 Mr. Johnson represents clients in all phases of construction from contract preparation through ultimate dispute resolution, including litigation. Prior to attending law school Mr. Johnson worked as a high school honors and advanced placement chemistry teacher in Lakeland, Florida. After law school, Mr. Johnson began his practice of law as a business litigation attorney in Ohio, concentrating on construction disputes. Prior to joining the firm, Mr. Johnson also served for two years as a federal judicial law clerk to the Honorable Karla R. Spaulding, of the U.S. District Court for the Middle District of Florida. Mr. Johnson utilizes his extensive litigation experience representing general contractors, subcontractors, and design professionals in all aspects of dispute resolution.